Behind Andy Phillips’ humble demeanour is a musician with soul and drive, whose gentle but unfailing approach to music has been making moves since he first started his band, The Cadillac Walk, in late 2013. His popularity as a performer has increased exponentially in the last couple of years, to the point where he’s now a favourite on the gig and festival circuit. The best way to describe Andy Phillips & The Cadillac Walk – Glenn Sharp on bass and slide guitar, Brendan Burking on vocals, bass guitar and double bass, Rocky on drums and backing vocals and of course Andy Phillips, leading the charge in song and guitar – is a talented, hardworking, professional blues and rock’n’roll band that have been blowing away audiences since their inception. 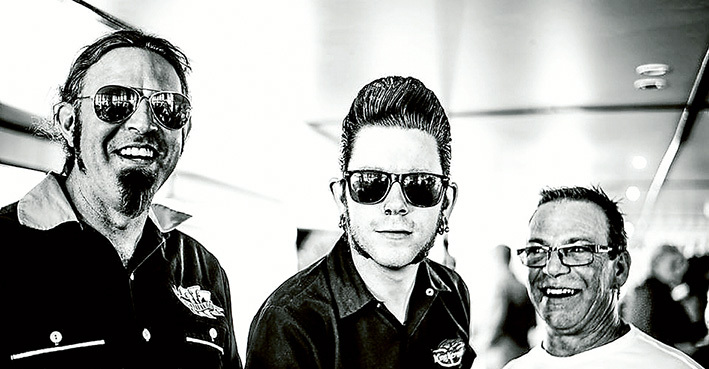 The band blends cool, classic retro-rock hits, high-energy Texas blues and some good old-fashioned rock’n’roll to boot, with a healthy dose of original tunes. Working as a full-time professional musician has seen Phillips rack up an impressive resume playing at many of the top blues festivals in Australia, New Zealand and even Austin, Texas in the United States. In recent months, Phillips has teamed up with 2016 Chain Music Award finalists Keith Hall and Pat Dow, which led to him recording on their new album, A Sense of Place. In April, the band toured with Phillips in Melbourne and will continue through May with Phillips in South Australia. While there, Phillips will record his own album. If all goes to plan, both bands will tour the United Kingdom together later this year. Recently, Phillips has been performing aboard the Lady Cutler Melbourne showboat, doing blues cruises. His partner and manager Heidi LaFaerie has more planned for this year. Keep the cruise on Saturday, 27th August in mind, where Phillips performs with feature artists The Jackson Four and Tony J. King in a Blues Hip Jive cruise party, departing from the Docklands. This event will be high-octane and absolutely awesome. In the mean time, there’s a cruise happening before this date on Sunday, 15th May aboard the Hygeia Party Boat from 2-5pm. The Hygeia is Geelong’s largest and most luxurious bay cruiser. Bookings can be made on 03 5254 1111. Andy Phillips is a sought after entertainer, recently he was invited to perform at the annual Cars for Kids Good Friday Appeal organized by Guzzlers Rod’n’Custom, held at Keilor Hotel. He’s extremely passionate about his music and makes every effort to perform whenever he can. 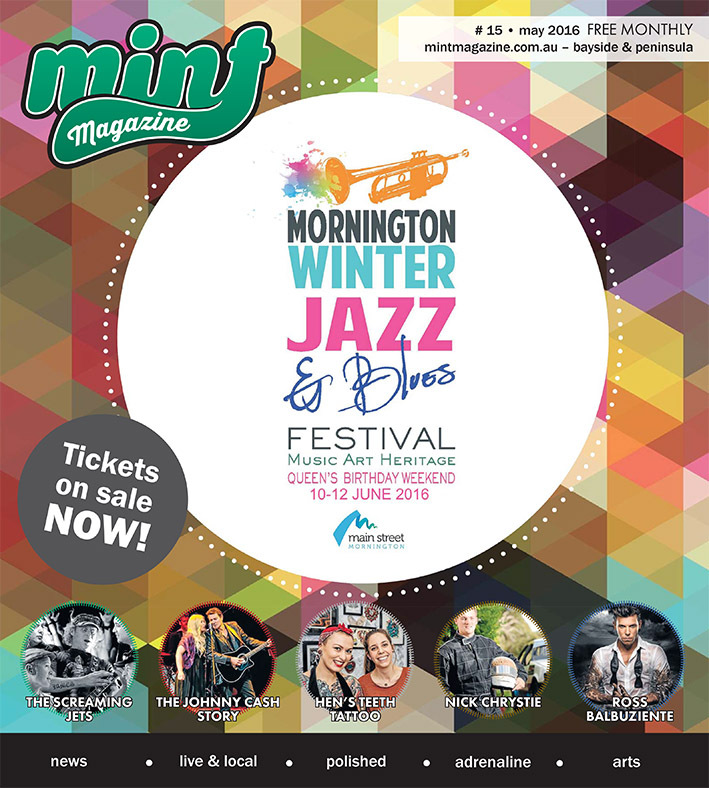 Of late, he’s been honing his chops busking in the streets of Frankston, enjoying solo gigs on top of performing as a duo with either Glen Sharp on lap steel and harmonica, Aaron Roberts on keys and vocals or with Peter Jackson on congas and vocals. All are very different performances to what he does with his band. The Blues Hip Jive concept shows have also been a huge success in collaboration with U.K. chart toppers, The Jackson Four. The show is a blues, jazz, Hammond B3, swing, rock’n’roll dance event, which draws hundreds of people from all over Melbourne. Keep your eyes peeled for these events as they are definitely worth attending. Phillips’ fortitude towards life and music has no bounds and like many true and dedicated musicians, the band often donate their time to raising funds for people in need. 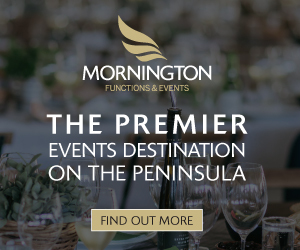 A fundraiser event held recently at the Wishing Well Tavern in Carrum for a family in desperate need of medical funds saw many of the Peninsula’s finest, along with Phillips, singing their hearts out to raise money for this family. Wise words indeed and interestingly, I’ve observed Phillips’ mastery and dedication to his music grow stronger over the years. There is no doubt he’s a devotee to his craft – imbued with spiritual belief and gentle living practices, Andy Phillips will continue to carve out a respectful name for himself in the industry he so loves.